Caring for garden roses in the fall (September and October) that it is important to know? Caring for roses in the fall: how to prepare shrubs for the winter in September and October? How to prepare the ground for future landing? Begins care rose in Septemberpodkarmlivaniya bushes. Abundant flowering shrub robs a lot of nutrients, so it is necessary to restore the balance, to strengthen the roots and branches. 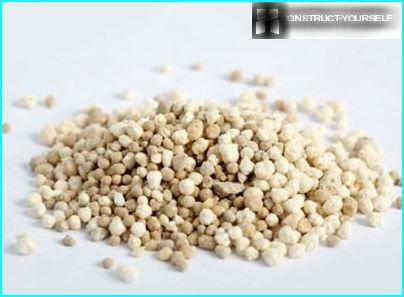 Fertilizing spend any ready solutions / granules, or buy a separate phosphorus and potassium fertilizers. 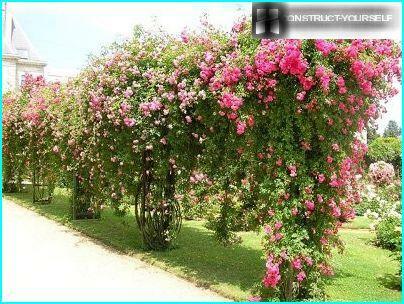 They stop the growth of roses, accelerate lignification of shoots and increase the stability of bushes to frost. The fertilizer composition should be nitrogen, becausethat it affects the vegetation, increases the amount of green mass of plants, and it just does not have to fall. If dressing trigger regrowth of young shoots, it just will exhaust bush and reduce the chance of a normal winter. Yes, and all the green branches still die from the cold. Lignification of shoots promotes and nipping. A week after the feeding of all the tops of the branches should be cut off the sector to remove the growing point. In September, continue to cut flowers and dryingcease to hold loosening the soil and watering, thereby halting the growth of new roots. 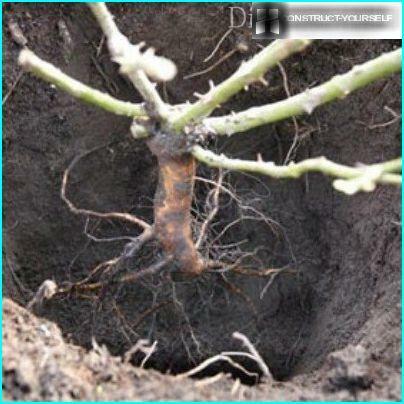 The root system needs to mature in order to successfully withstand the winter. Even if all shoots freeze, then a dormant buds enough to bush alive again. But this requires strong, healthy, mature roots. But in the middle of the month, you can start preparingland for planting young shrubs. In rosarian the rule: if you want to put a rose in spring - ready for her ground in the fall. Therefore, in September, closely engaged in preparing the ground for the future of the rosary. Having defined the place of the rosary, schedulepegs location of each bush. Note their size in adulthood, because a strong thickening of the plants will not develop normally. They will infect each other fungal infections and are poorly ventilated. In addition, the lower part of the bush will begin to turn yellow, and the sheets - crumble. But too sparse planting too unprofitable. 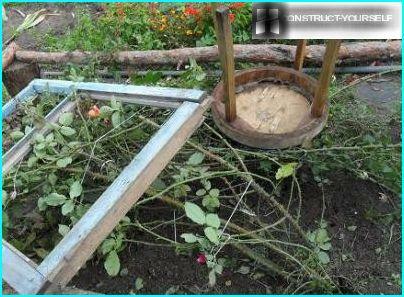 In this case, around the roses begin to settle down weeds and the soil quickly overheats. half - between Park & ​​polupletistymi. If roses are planned as part of the composition, thenIt should provide a free space between them and other plants to be able to carry out pruning and shelter for the winter, without prejudice to other colors. 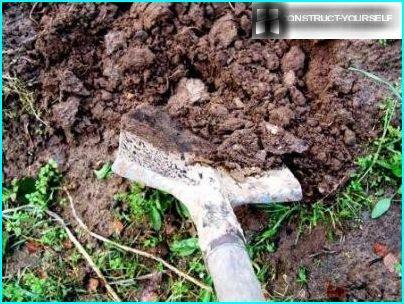 If the soil at the site rested, and the earlier it does not grow, then all the land which you will be digging out of the hole can be used to prepare a fertile mix. If all the land to the rosary has been speciallybrought, then dig a pit, focusing on the root length + 15 cm. So, for planting roses with roots in 40 cm dig a hole depth of 55 cm and a width of half a meter. On poor sandy or clay ground creating deep pits - about 70 cm to fill them with fertile soil. 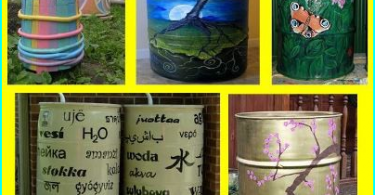 Depending on the number of number of holes,prepare the necessary volume pochvosmesi, focusing that each plant will take about 2 buckets of earth. The entire mixture is created in the following proportion (1 part - a 1 bucket): 2 hours, the fertile soil of the sand + peat + + part of the humus 0.5 parts of weathered clay + part sod land..
To this is added the composition of mineral fertilizers: 2 cups of bone meal ash cup + 2 + 2 cups of dolomite flour + 100 g. complex fertilizer for roses. All components have to be stirred, poured into the tin sheet or film, and then scatter by planting pits. Tip! If you do not find the bone meal in gardening stores, go to the supply department for the animals. It can be sold there as a top dressing for food. In October, autumn care for roses is reduced toplanting and transplanting young plants, as well as cleaning the soil from the incident leaves and other debris. In adult plants, which do not need to replant, cut off all the leaves, so they did not take power from the roots. Scrub it's time to prepare for the winter, and the gardener will facilitate this task pruning leaves and young branches. If seedlings purchased bare-root, they one day before planting soaked in water biostimulant. Before landing check every bush, prunefull foliage and ruffled or nevyzrevshie branches, as well as shorten the aerial parts. The optimum height of the bush -. 35 cm Higher Plants tolerate worse winter. The root system is also checked, and if they find decayed roots, then engravings. Too long roots (more than 30 cm) is shortened. If the space below the inoculation showed dormant buds - they are removed, because it is a wild growth. To disinfect every bush sprayed with iron sulphate. Before planting the roots dipped in a mash of mud and mullein, and then lowered into the hole. Each pit has to be poured a mound of cooked pochvosmesi. The plant is put on the mound, straightening the roots on the sides gorochki. In no case did not wrap up the roots, but just down. Place of vaccination must fall below the level of the soil at 5 cm (pletistyh - 7-10 cm). Keeping one hand sapling, fill up the ground to the second level of the soil, once compacted by hand. After planting their feet trample down the earth and abundantly watered. If, after watering the vaccine bury too, rose even slightly raise the soil and fill up. When moisture is completely absorbed, spud bush to a height of about 20 cm. By late October, climbing grade removed from the trellis and gradually bends to the ground, while the supple branches. Ends for garden roses care in autumnNovember. This month training bushes for the winter. And the need to catch up to the onset of cold weather to create a stable shelter, brought from the forest spruce branches or buy lutrasil. All the details and options for hiding roses, see the article "How to hide the roses in the winter - the salvation of the" queen of flowers "from the frost."